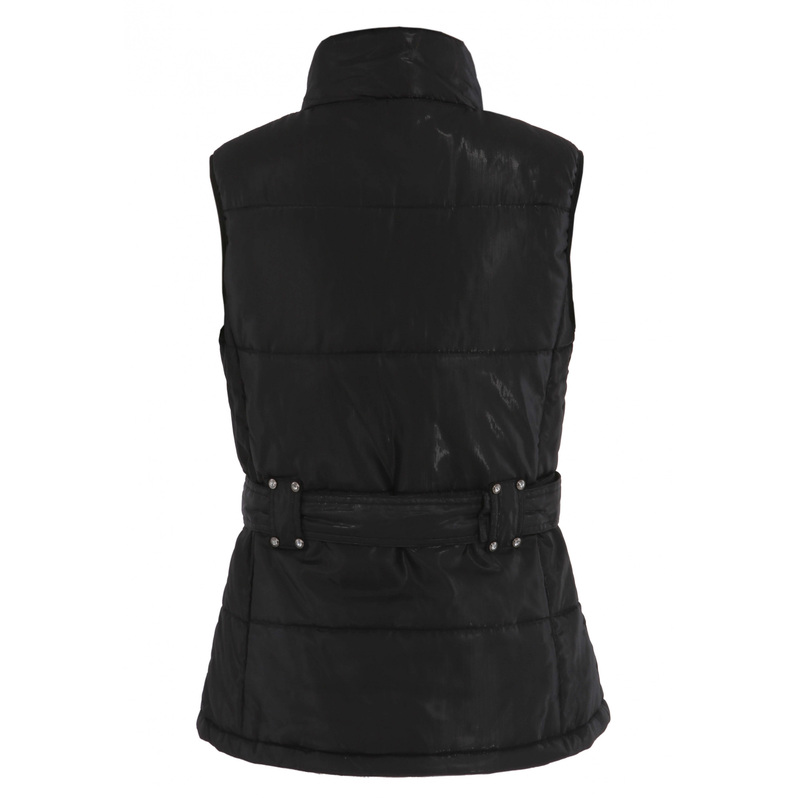 New York black stylish vest of a shiny material with real sheepskin around the collar. It has a solid decorative stripe. Equipped with two types of fastening - zip and buttons. On the left side has a KINGSLAND stripe.